Filler: Disco edition | Random moosages as I see fit. I was trying pretty hard not to need any fillers but I’m just too tired to finish the draft of what I had planned for today. I’m really going to have to step up my game because I’ll be doing crazy commutes for pretty much the rest of the year. Huzzah. 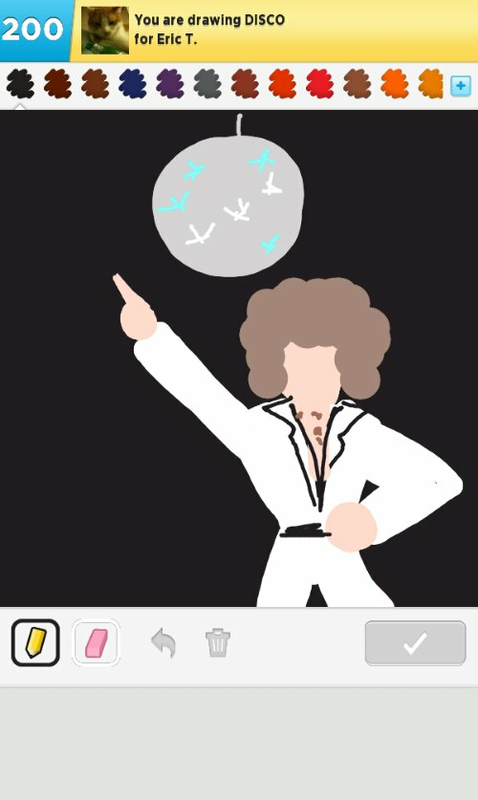 In the meantime, please to enjoy this doodle of all that I believe represents disco. Actually, not all. I think this is the first time I drew the “disco” prompt. In subsequent encounters, I think I also included a lighty-blinky tile floor. But because I would have to zoom out to include the floor, you didn’t get details like…chest hair. And no, I never did bother with a face.